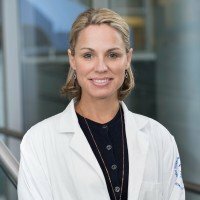 Women want to understand and decrease their risk of breast cancer, and Nicole Saphier, MD, Director of Breast Imaging at MSK Monmouth, wants to ensure that women make the right decisions when it comes to their breast health this October, in honor of Breast Cancer Awareness Month, and every day. Dr. Saphier and other medical professionals agree: The most important step in breast health is getting a mammogram. But many people are confused about who should have this screening and when. The answer? It depends. Memorial Sloan Kettering experts recommend that women who have an average risk and no family history of breast cancer begin getting an annual mammogram at age 40. When a woman has a mother or sister who was diagnosed with breast cancer before age 50, MSK recommends that she start having an annual mammogram beginning ten years before the age at which either of those relatives were diagnosed. Women at an increased risk of breast cancer are also eligible to participate in MSK’s breast surveillance program, RISE (risk assessment, imaging, surveillance, and education).